Sock It To Me With A Martini! http://www.ravelry.com/patterns/library/tube-socks-2 The picture above is the first sock in what I hope will be my holiday socks. I used Plymouth Yarns Heritage Knits. 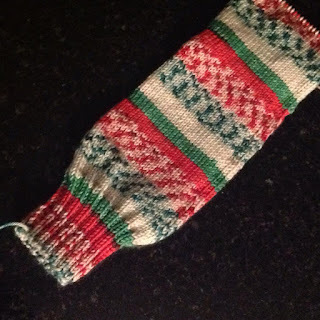 It has a good price point and it's self striping and creates that wonderful pattern you see.. 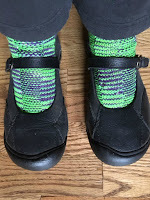 The first pair of socks that I completed was from a sock yarn I purchased from an Indie yarn gal on Etsy several years ago with the intention of making a shawl. Because the yarn is purple and green, it makes it perfect for Halloween. On a recent trip out to San Diego, I found a sweet pink speckled yarn that I thought would be a nice remembrance of our trip. 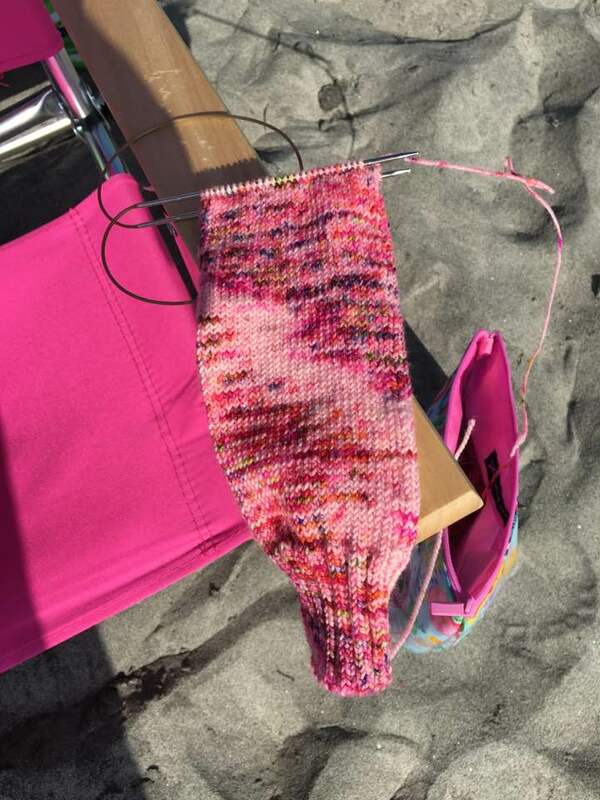 I started knitting the socks on the beach. I named the yarn Seashells. Next up for me is to finish the other holiday sock so I can wear them before Spring! I also have in mind to make a pair of patchwork tube socks using the leftovers from my sock yarn collection. 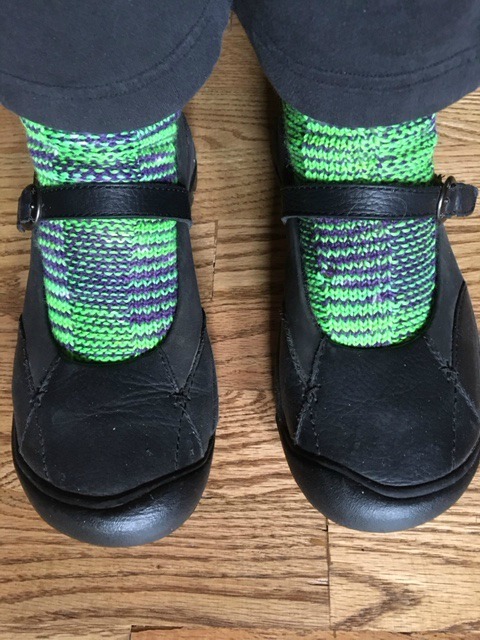 The thought of making a pair or two of socks to give as gifts for the holidays quickly flew out of my mind when I realize that I will have to start knitting for the holidays for next year! After all there are only so many Martinis one can drink and still be productive... Cheers!